This photo was taken at the end of the day The sun had headed west and it was getting dark, although you would look out the window and call me a liar!! That's how darned bright it is! 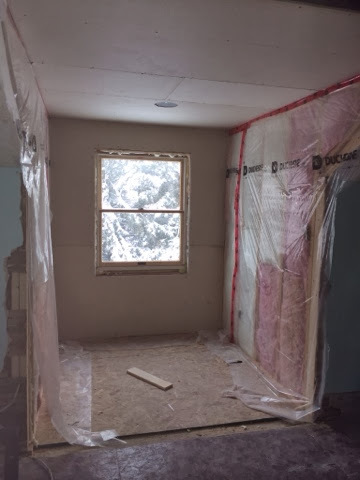 All that is left is to add insulation, wiring and drywall to the old exterior wall. I think the day they built the wall, back in 1904, the insulator guy got lost???? We will be using styrofoam to button her up. She will love it! So will we. uninsulated wall is cold, can you imagine trying to sleep with snow in your bed? Hey, it's coming along! Windows and lighting are highest on my list of wants in a home. Oh my goodness please tell me they didn't leave your roof off! Is the brightness light reflected off snow? Oh, did you managed to hire worse workers than I had? My roof is with no insulation (yet) and it's really cold in the bedrooms... Next on the never ending to-do list! 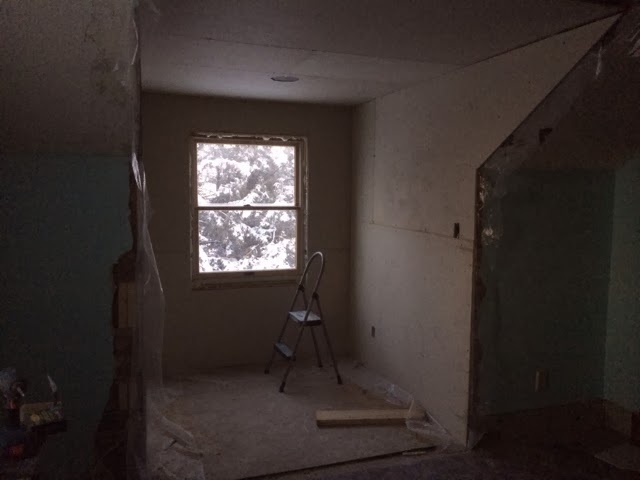 Dormers are so awesome for letting light in! 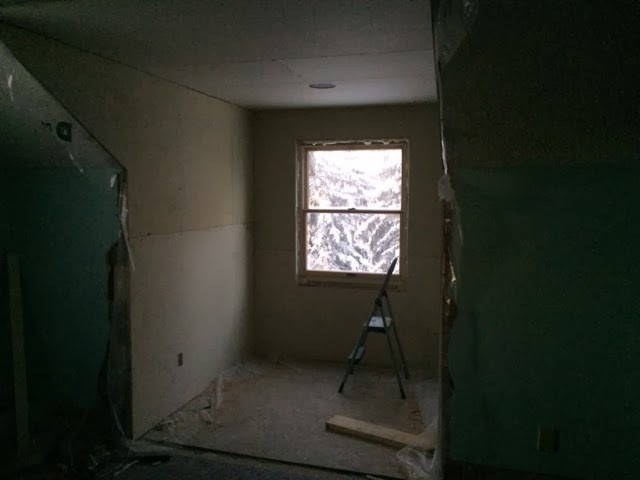 This room is going to be fabulous girl!! Look at you guys, chugging away getting a lot done. I find I am more motivated to work on the house in the winter months as there just isn't as much to do around town here. Though, we are taking this winter off for once. Yay!